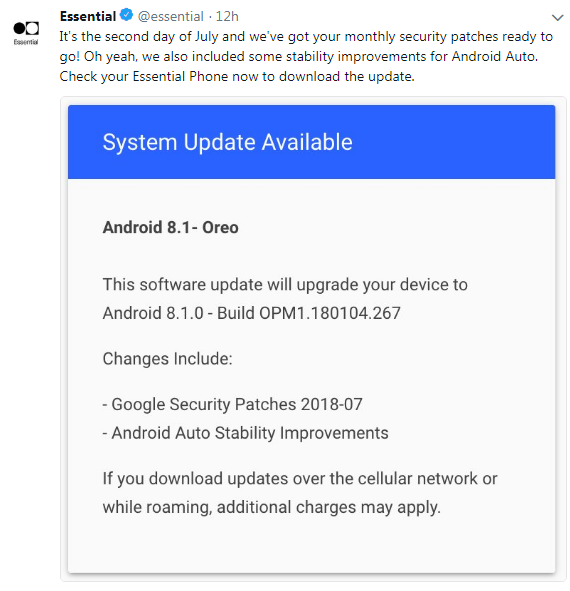 Essential rolling out Android P Beta and July Security Patch update to Essential phones. The company does quite well in terms of latest Android version updates and latest security updates. Google recently rolled out Android P Developer Preview 4 for Pixel and Pixel 2 devices. Essential is also in the list after Google and released Android P Beta including July Security Patch update faster than the other smartphone brands. Essential includes some stability improvements including Android Auto improvements in this update. The OTA has already begun to roll out and should take some days to receive globally. The major improvement is that they updating latest security patch and that’s a big thing. Because only Google just updated the latest security patch to Pixel devices and Essential make it possible. Whereas, other flagship and popular smartphones don’t get July Security Patch update and even Android P beta also. For people who have opted for Android P Beta from Essential, both updates are bundled into one OTA update package. You can download the latest security patch update from the Essential website. Though there are few bugs people can notice while downloading OTA package, it includes the changelog in the French language. There is now information about the Essential PH1 but the company is focusing towards the Essential PH1 device. The device runs smoother after the update than the earlier. But still Essential phone don’t get the market as expected even after price cuts and discounts. 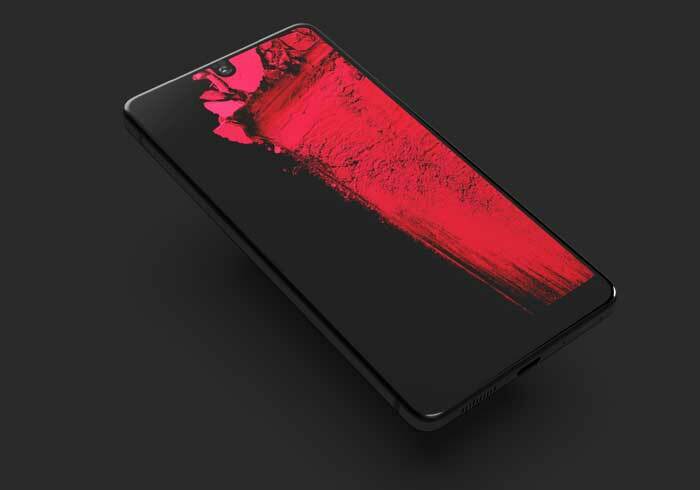 Hopefully Essential will take some tricky and major steps regarding their upcoming devices and marketing strategy to get a better response. 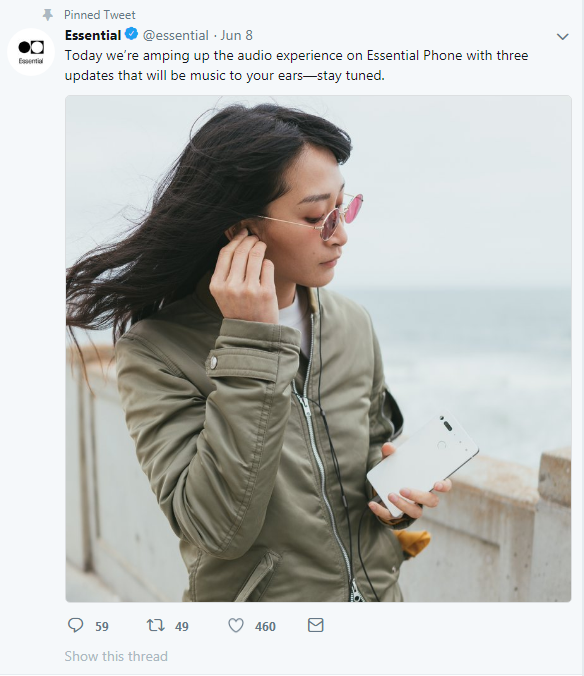 Essential already rolled out three updates to Essential Phones to enhance the music experience last month. 1. 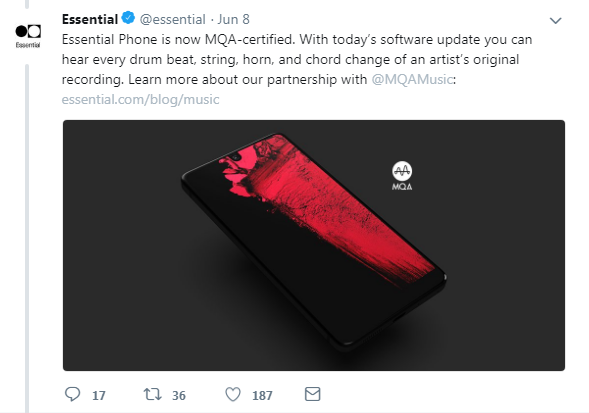 Essential Phone is now MQA-certified. This update specifically improves every low and mid-tone and bass. 2. The company is now tied-up with @TIDAL. 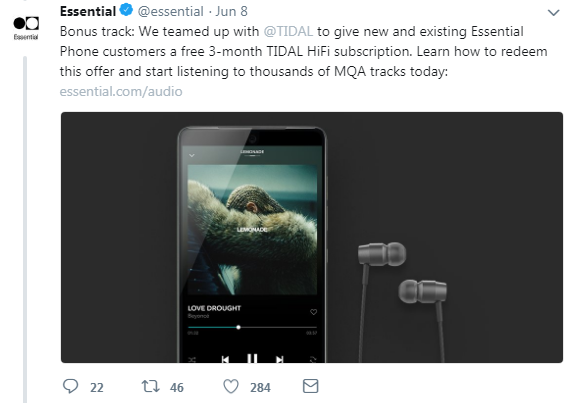 The TIDAL gives 3 months of free HiFi subscription pack. 3. 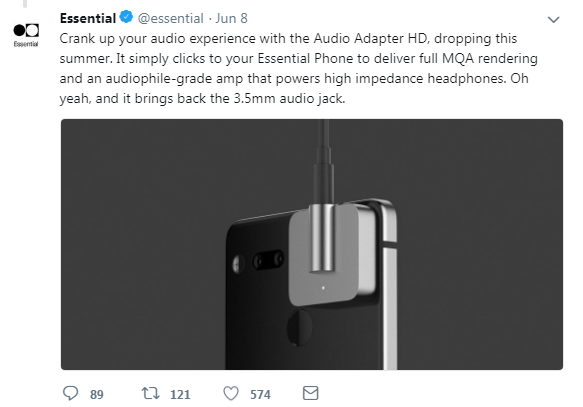 Essential includes an audio adapter HD accessories to deliver full MQA rendering and an audiophile-grade amp that powers up high impedance to headphones. It brings back the 3.5mm audio jack also.